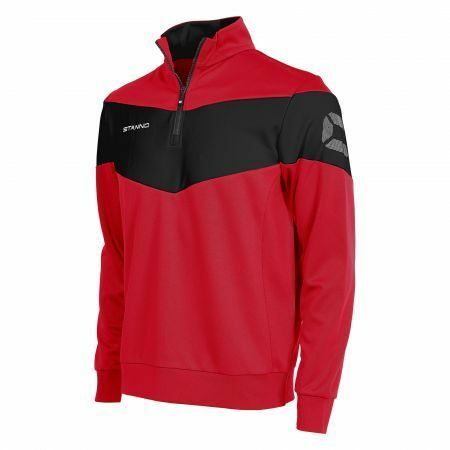 Fiero TTS Top - Half Zip - Adult - Red/Black - Includes TBGYFC OR TUFC Embroidered Logo. 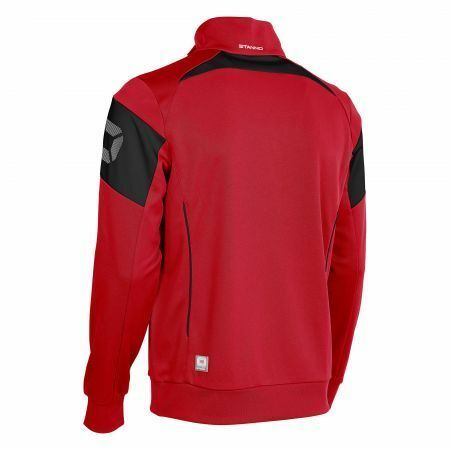 This training top with Fiero design is easy to spot with its striking V-shape on the chest. The top has a zip of high-quality SBS on the front and two zip pockets. The top includes fine rib material on the collar, cuffs and waist. The material is ideal in these strategic areas, because it contains a lot of stretch, but also continues to maintain its shape. The design includes seamless sides for extra comfort.